Children get their nationality through different types of connections they have with a country. But sometime their right to a nationality is denied and they end up stateless. 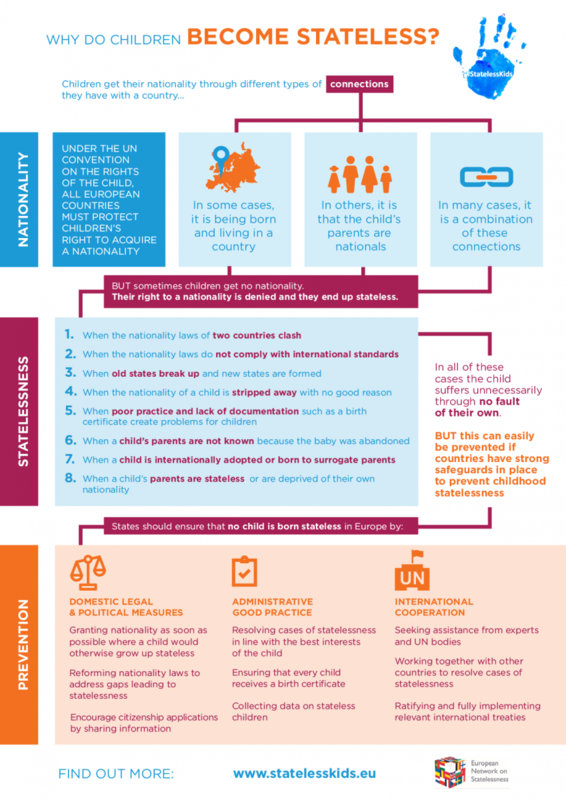 This new ENS infographic explains why that happens and what countries need to do to make sure no child ends up stateless in Europe.